The Roxborough Pocket Park serves as an escape from the hustle and bustle of Ridge Avenue. 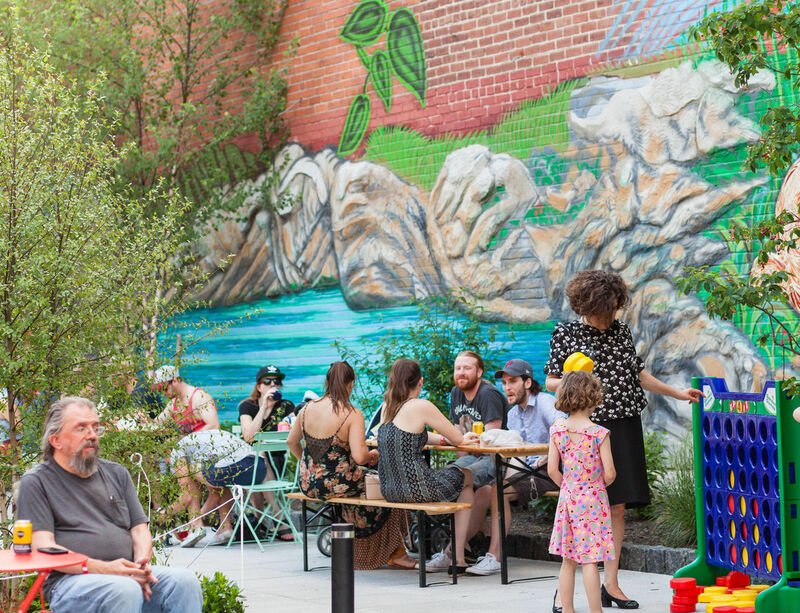 The Roxborough Pocket Park project evolved from the Roxborough 2020 initiative which engaged over 700 stakeholders on rethinking the direction of Ridge Avenue and the Roxborough neighborhood. Following Roxborough 2020 the Roxborough Development Corporation (RDC) selected Groundswell Design Group to build off of this interest and lead a visioning process which resulted in the Roxborough Pocket Park’s current concept. The Roxborough Development Corporation is continuing its fundraising efforts following the opening of the park. 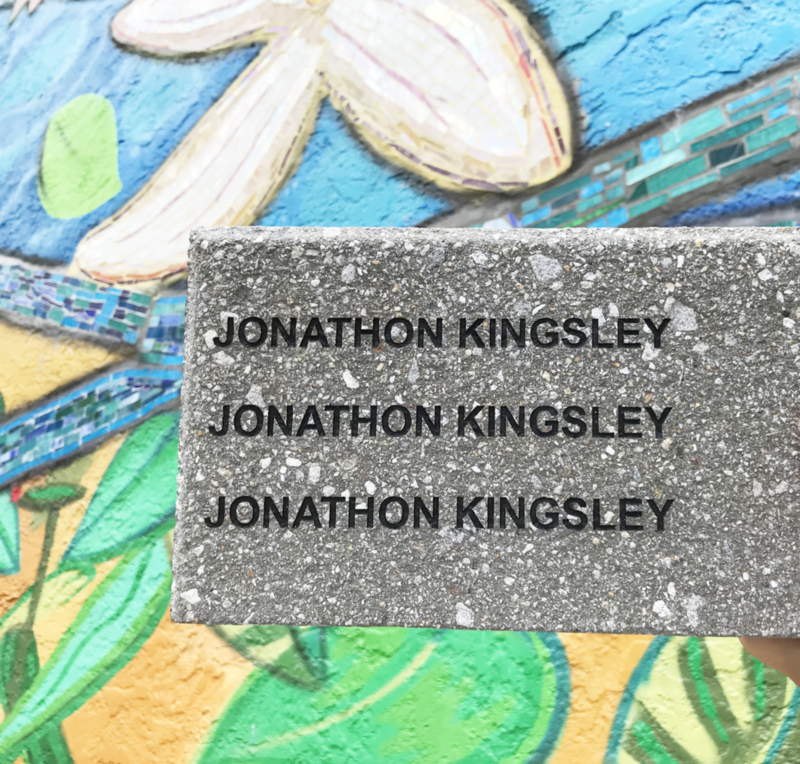 The Roxborough Pocket Park Paver & Plaque Engraving program offers a limited number of personalized inscriptions available to the community on a first come first serve basis. To learn more about the program click the link below. The vision for the park seeks to transform a once vacant unusable asphalt lot in the heart of Ridge Avenue into a sustainable, green flex space that can be used for special events, programming as well as activities for children and adults alike. By depaving the asphalt lot and installing plantings, flower beds, rain gardens and permeable pavers the site will create 5,500 square feet of usable area that manages stormwater headed for the Schuylkill River. Plans shaped by the community envision a rain garden boardwalk, food cart and truck vendors at the site, movie projections, yoga classes, farmer's market, historic mural installation, stadium-style seating, an artistic entrance and seating for an adjacent restaurant. View the conceptual designs for the pocket park developed by Groundswell Design Group. Plans for the Roxborough Pocket Park have called for the remediation of asphalt concrete at the site and the installation of a green stormwater infrastructure system. The system will include a range of soil-water-plant systems that intercept stormwater, infiltrate a portion of it into the ground, evaporate a portion into the air and release a portion slowly back into the watershed. Stormwater analysis conducted at the site will enable the Roxborough Development Corporation to implement high standards of planning and design, including the implementation of Best Management Practices (BMPs). Through the project, this once vacant asphalt lot will be transformed into an on-site drainage area that reduces and purifies pollutant loads to the Schuylkill River Watershed. The Roxborough Pocket Park, a public flex-space in the heart of Roxborough, opened with a ribbon-cutting ceremony as part of the Art Is Life spring street festival on Saturday, April 21, 2018. Through the support of state, city, foundation and Roxborough Development Corporation (RDC) funding, the new park transforms a once vacant asphalt lot into a community hub with programming for children and adults alike.